KODIAK – The U.S. Coast Guard has received the first of five new multipurpose aircraft that will replace its aging air fleet at the Kodiak air station. The HC-130J Super Hercules landed at Air Station Kodiak this week to replace one of the five C-130H airplanes in operation at the station, the Kodiak Daily Mirror reported Thursday. The remaining four planes are expected to be delivered by late next year. The military aircraft serves multiple functions, including use in search and rescue, patrol and law enforcement operations. The new model, built by the Lockheed Martin Corp., costs about $85 million when fully outfitted with features required by the Coast Guard, like sea search radar, infrared sensors, enhanced communications and life rafts, the Coast Guard said. "This new aircraft, with its increased capabilities, represents the Coast Guard's continued commitment to the state and will greatly improve our ability to respond while providing an additional margin of safety for our crews," Capt. B.E. Dailey said. 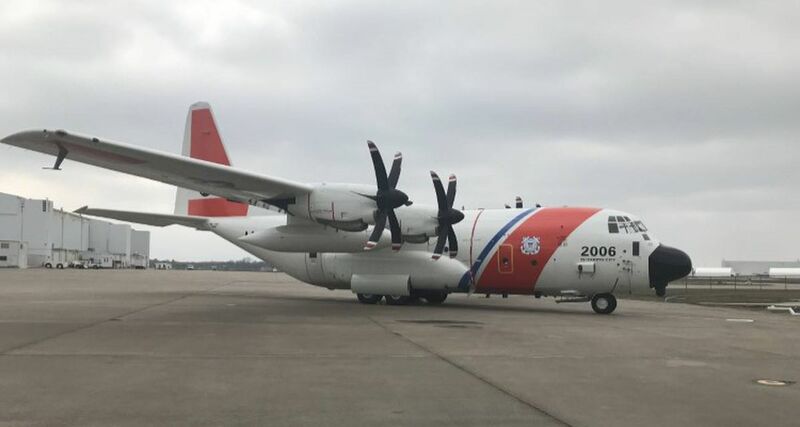 The new aircraft with its more advanced engines and propellers has a "20 percent increase in speed and altitude" and nearly double the range compared to the old model, the Coast Guard said. It will take crews about two months to learn how to fly the new model, Pilot Lt. Andrew Stec said. "It'll be nice to fly something that's a little more modern," Stec said. The five HC-130Js for Kodiak are among the 78 that are being delivered to the U.S. military under a $5.3 billion contract with Lockheed Martin.